Oh how I wish we could have enjoyed another Easter with real Spring weather like we did last year. This time around we escaped, with friends, to one of our favorite places in Oregon: Sunriver. Here we had four days to indulge in time spent reading, knitting, cross-wording and eating. 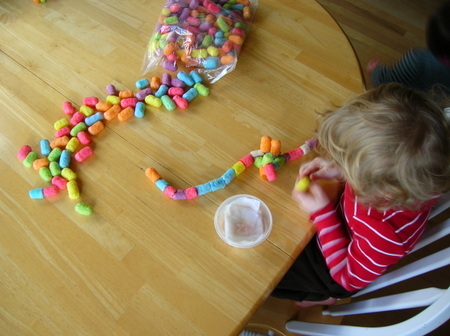 An egg hunt, snow play, bike rides and hot tub were also enjoyed—and a new discovery: cornstarch building blocks. These biodegradable nuggets are perfect for bringing on vacation: they’re cheap, easy to pack and create little to no mess, as they require only water to adhere to each other. 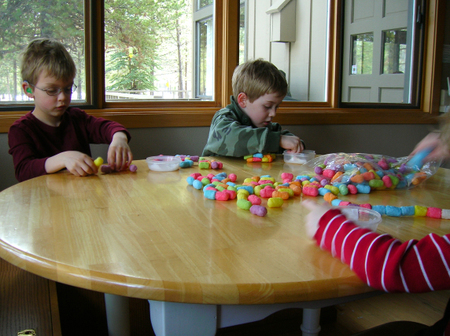 Because of their Easter-y colors, the lazy Mom in me deemed this activity an acceptable alternative to dyeing eggs. 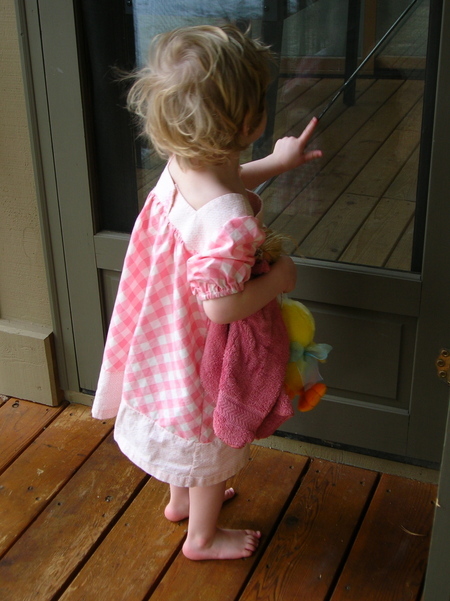 Our departure on Saturday was delayed because at the last minute I decided the Easter dress I’d started for Lauren the previous weekend had to be finished. 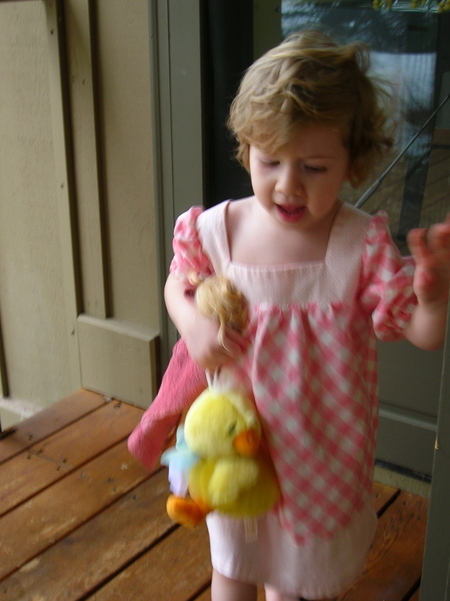 The week had been so busy and stressful, I could not get back to it and was thus forced to accept the possibility that she would not get an Easter dress this year. “It’s too cold anyway”, I consoled myself. But seeing it sit on the cutting table that morning, half finished, I realized it had to be done. I was glad for this decision Easter morning when she rushed to put it on. I love how it turned out. There’s only one problem: it’s way too big. Maybe I’ll save it for next year, but I’ll likely want to make something new—especially after seeing what Katie made. So inspiring. A visit to one of Bend’s knitting stores was also a highlight. I discovered this beautiful yarn made of 100% bamboo and instantly fell in love with its silky texture and unusual steel-blue color. 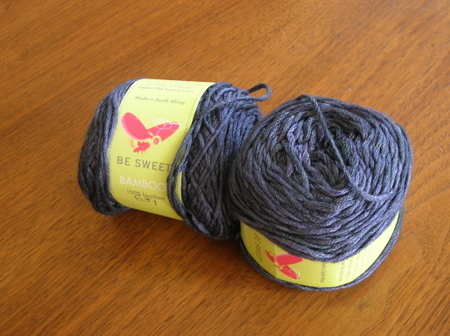 I bought enough for a secret project I am now furiously trying to finish and promise a show-and-tell upon completion.